Mother's Day is an important day all around the world, even though it started in North America and Europe. Not all countries celebrate it on the same day, but the most popular day is the second Sunday in May. It is, of course, a day to honour our mothers and make them feel extra special. A punctuation point about the day is that most countries choose the singular possessive "Mother's Day", with the apostrophe before the 's' to show that each family honours their mother, rather than all of the world’s mothers. England was one of the first countries to set aside a day to recognize mothers. In the eighteenth century when many people worked as house hold servants for the rich, "Mothering Sunday" was reserved for them to return home to be with their mothers. Though this custom changed when the Industrial Revolution altered people’s working and living patterns, mothers in England are still honored with a special day in March.In the United States, the idea of Mother’s Day was first introduced in 1872 by Julia Ward Howe, a famous writer and social reformer of the time. 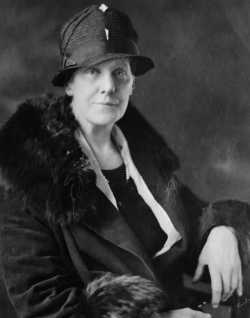 However, the establishment of an official day to honor mothers was due largely to the perseverance and love of one daughter, Anna Jarvis. Anna’s mother had provided strength and support as the family made their home in West Virginia and then Philadelphia, Pennsylvania, where Anna’s father served as a minister.As a girl, Anna had helped her mother take care of her garden, filled mostly with white carnations, her mother’s favorite flower. When Mrs.Jarvis died on May 5, 1905, Anna was determined to honor her. She asked the minister at her former church in West Virginia to give a sermon in her mother’s memory. On the same Sunday, their minister in Philadelphia also honored Mrs. Jarvis, and all mothers, with a special Mother's Day service. Anna Jarvis began writing to members of congress, asking them to set aside a day to honor mothers. In 1910, the governor of West Virginia proclaimed the second Sunday in May as Mother's Day. A year later, every state was celebrating it, and in 1914 President Woodrow Wilson declared the first national Mother’s Day. On Mother's Day morning,some American children follow the tradition of serving their mothers breakfast in bed. Other children will give their mothers gifts that they have made themselves or bought in stores. Adults also give their mothers cards, gifts, and flowers-often red carnations, the official Mother's Day flower. If their mothers are deceased, they may bring white carnations or other flowers to their gravesites.